Microsoft Corp, founded by Bill Gates and Paul Allen, is an American multi-national tech company. It has its headquarters located in Redmond, Washington DC. The company is known for developing, manufacturing, licensing, supporting, and selling computer software, consumer electronics, personal computers and operating systems, and services. Microsoft is reportedly the sixth largest information technology company (third-largest now by the end of 2017), following Samsung Electronics Ltd and Apple Inc., in the modern-era. Microsoft Corp has assets worth $182 billion and its net worth is said to have reached almost $500 billion. Windows 10 is the most recently developed and launched OS by Microsoft Corp.
Windows 10, a personal operating system, developed and launched by Microsoft, the system belongs to a part of the Windows NT family. The windows 10 is reportedly the best and most user-friendly operating system developed by Microsoft, following Windows 98, Windows XP, and Windows 7. 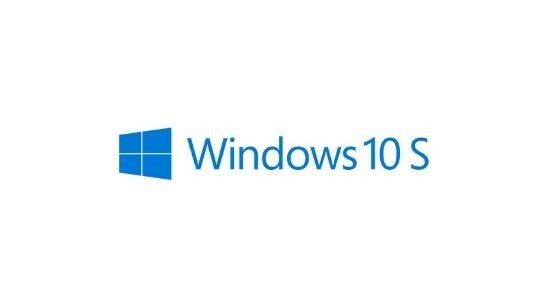 The Windows 10 is used as the OS base of various products from Microsoft like personal computers, tablets, phones, mixed reality, embedded systems, Xbox One, and the Surface Hub. The Windows 10 comes with the inbuilt installer of DirectX 12 and WDDM 2.0, significantly enhancing the graphics capabilities of the operating system. The user is provided with the best gaming and virtual experience. If you think that your personal computer, phone, tablet, laptop, or any other gadget based on the Windows 10 OS is lagging, you should try out these simple steps to boost your system's capabilities and deliver you its best performance. Try out these 5 steps to make your device function smooth and less prone to performance issues and system crashes. 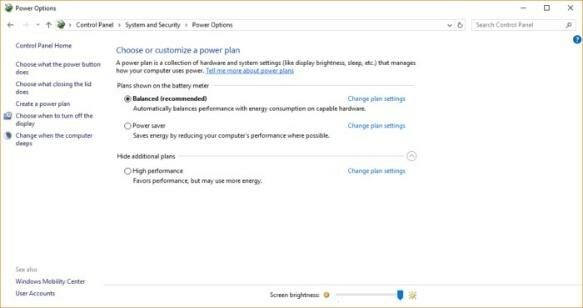 In case you’re using the Power saver plan of Windows 10, you are most likely slowing down your device. 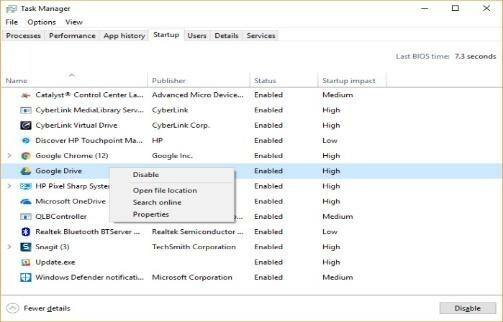 This particular feature offered by Windows 10 reduces the device’s performing capabilities, in order to save energy. Changing the Power saver plan from High Performance and Balanced will surely provide your device with an instant power boost. Then select hardware and sound. There select the Power option. (There are usually two visible options: Balanced and Power saver). This might be one of the biggest reason for your device’s sluggish performance. Your programs and the over-all the performance of the device will be automatically slowed down if there are numerous applications running in the background. These applications might not be of the user’s immediate importance or the device may never use them at all, the best thing to do would be to delete these applications, the once built-in can’t be deleted so it’s better to Force Stop them. You will the main running applications there. Click on More Details to check the list of the applications running in the background. Go to the Startup tab to see the applications that are automatically launching themselves during the start-up, there you will see an option called the ‘Start-up Impact’. This option will likely show you the applications, running in the background, having the most impact on your device’s performance. Disable them from the ‘Disable’ option. The main feature that tracks and controls the overall look and functioning of the Windows, is the Registry. 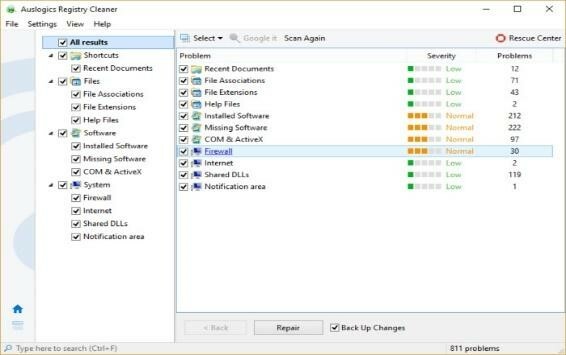 The registry includes all the information about the location of the stored programmes, the DLLs they use and share, recommended programs to open the specific type of files, and many other very important feature of the Windows. Best not to do the cleaning yourself as cleaning totally from the Registry is quite complicated and the feature itself is a very fragile part of the OS. On the left side of the app screen, you will be able to see the various kinds of Registry issues that you want to clean-up. Now, click ‘Scan-now’ to identify the issues and make fixes in Registry. You can also use the ‘Scan and Repair’ option, but this will makes fixes in the Registry without consulting you. While you are cleaning your Registry, make sure that the ‘Backup changes’ option is ticked. 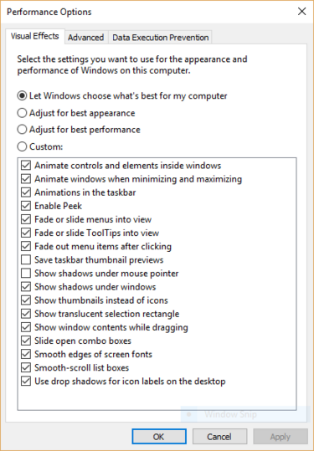 Windows 10 comes with a wide range of visual applications, they are very entertaining when enabled, goes very easy on the eyes too, but these can be one of the greatest reasons for your Windows 10 based device’s sluggish performance. It's very easy to turn them off. In the Windows 10 search box, type ‘sysdm.cpl’ and hit enter. This will launch the ‘System Properties’ dialogue box, go to the advanced tab and click on ‘Settings’ in the performance section. This is the easiest and best built-in way to identify the causes of your device’s sluggish performance. Go to System and Security. Go to Security and Maintenance. 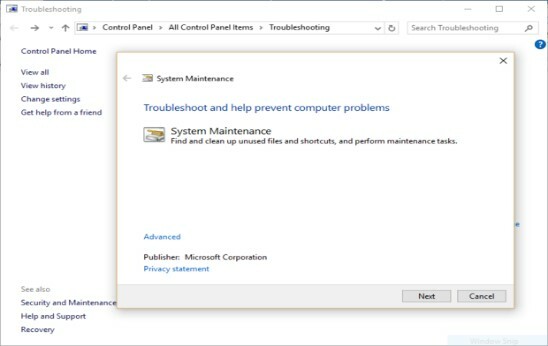 Click next when the troubleshooting screen appears. Optimizing your Windows 10 is easier than ever before, this is a list of the 5 most simple yet powerful steps to extract the full potential of your Windows 10 based device. The sluggish performance will never be an issue again. That's It Thanks For Following our Tutorial '' 5 Ways to optimize your windows 10 and extract its full potential '' Along With us If you found any difficulty Please Comment and Share Your Valuable Opinion. And Stay tuned for More Tutorials Like This and Share this with your friends.